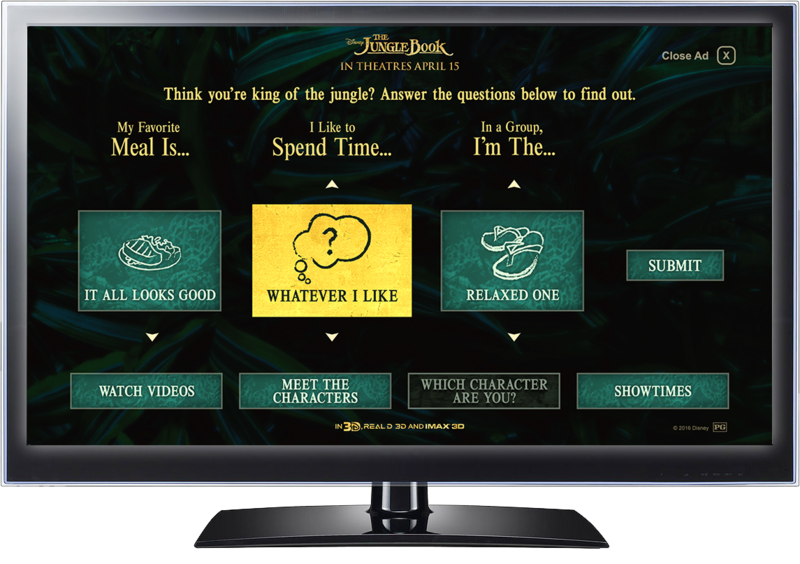 Goals: Drive awareness for the film’s release and engage viewers in unique ways on TV. 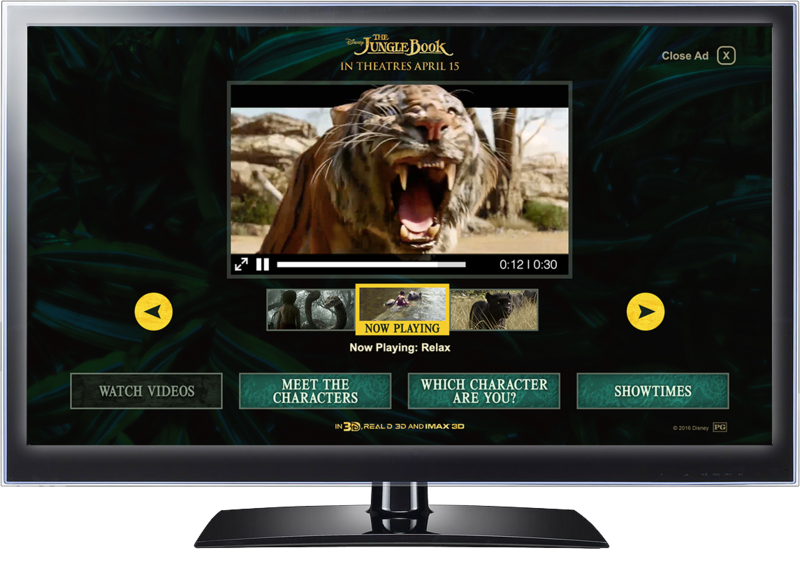 Overview: Building on the success of previous campaigns, Disney sought to use OTT to build excitement for the Jungle Book live-action remake. 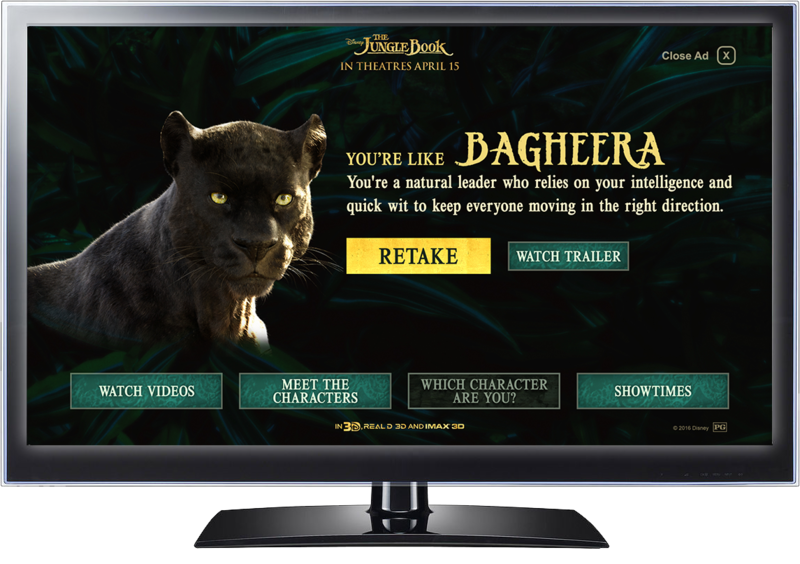 I developed a robust experience, including the latest trailers and featurettes, character bios, personality quiz, and real-time theater information based on the viewer’s location. 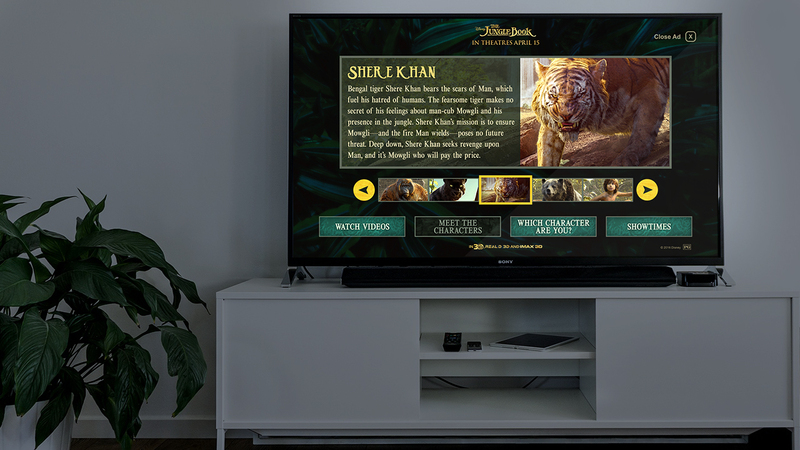 Viewers watched trailers and exclusive behind-the-scenes clips featuring voice actors Scarlett Johansson and Bill Murray. 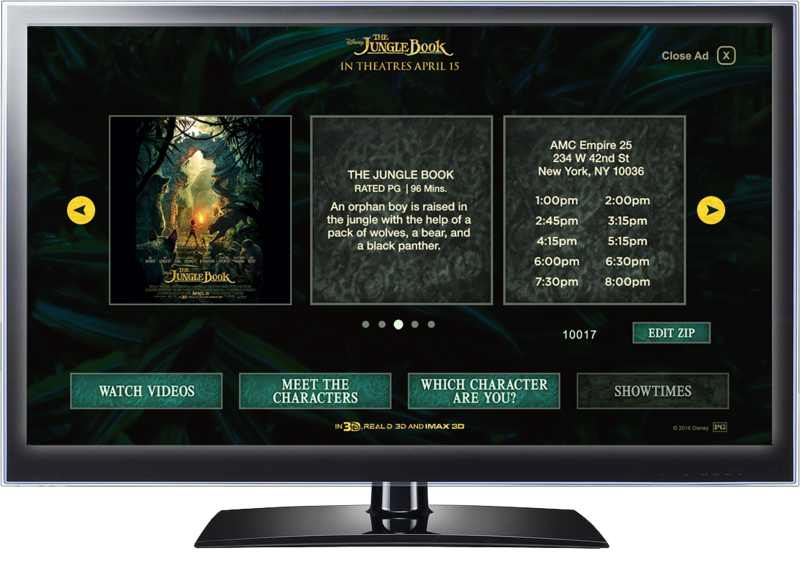 Once the film was released, viewers browsed local theater and show times dynamically served into the experience, making the ad much more relevant. 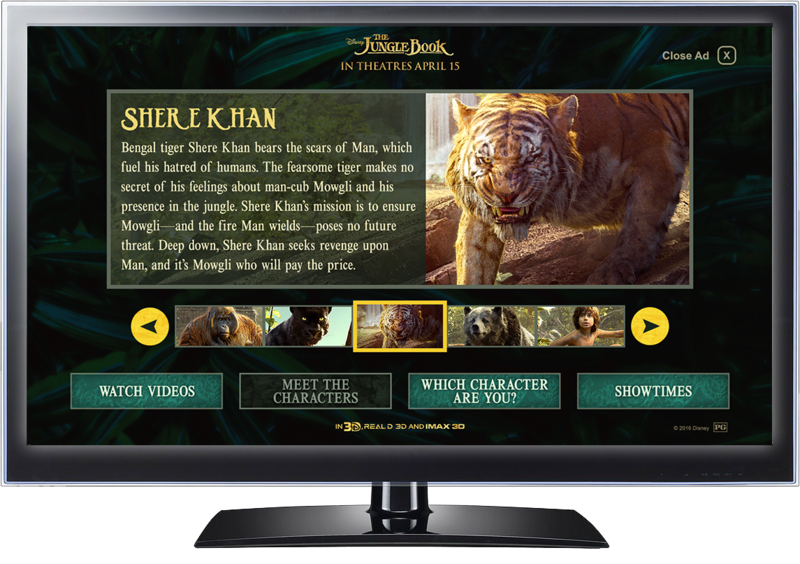 Watch the demo video below to see the campaign in action.